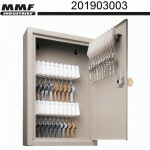 The 201903003 MMF is a Uni-Tag™ Single-Tag Key Cabinet, 12-1/8” x 8” x 2-5/8”. Key Capacity – 30.. The 2019060A03 MMF is a Uni-Tag™ Single-Tag Key Cabinet, 12-1/8” x 10-5/8” x 3”. Key Capacity – .. 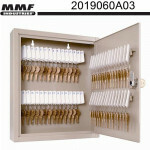 The 201908003 MMF is a Uni-Tag™ Single-Tag Key Cabinet, 17-1/8” x 14” x 3-1/8”. Key Capacity – 8.. 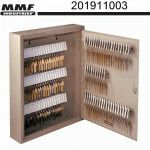 The 201911003 MMF is a Uni-Tag™ Single-Tag Key Cabinet, 17-1/8” x 14” x 3-1/8”. Key Capacity – 1.. 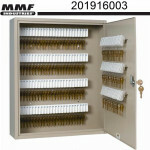 The 201916003 MMF is a Uni-Tag™ Single-Tag Key Cabinet, 20-1/8” x 16-1/2” x 4-7/8”. Key Capacity.. 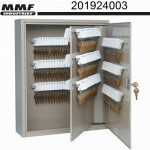 The 201924003 MMF is a Uni-Tag™ Single-Tag Key Cabinet, 20-1/8” x 16-1/2” x 4-7/8”. Key Capacity.. 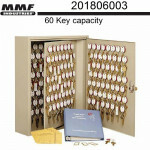 The 201806003 MMF is a Dupli-Key® Two-Tag Key Cabinet, 17-1/2” x 14” x 3-1/8”. Key Capacit.. 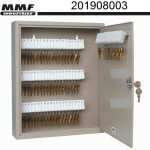 The 201809003 MMF is a Dupli-Key® Two-Tag Key Cabinet, 17-1/2” x 14” x 3-1/8”. Key Capacit.. The 201812003 MMF is a Dupli-Key® Two-Tag Key Cabinet, 20-1/2” x 16-1/2” x 5”. Key Capacit.. The 201818003 MMF is a Dupli-Key® Two-Tag Key Cabinet, 20-1/2” x 16-1/2” x 5”. Key Capacit.. 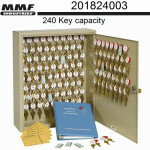 The 201824003 MMF is a Dupli-Key® Two-Tag Key Cabinet, 20-1/2” x 16-1/2” x 5”. Key Capacit..